Does anyone else find grocery shopping as fun as we do? We’re die hard foodies, we write a food blog, and we are cookbook authors, so hitting up a grocery store and exploring the aisles is our idea of a good time. Trader Joe’s is our favorite for unique items and low prices. 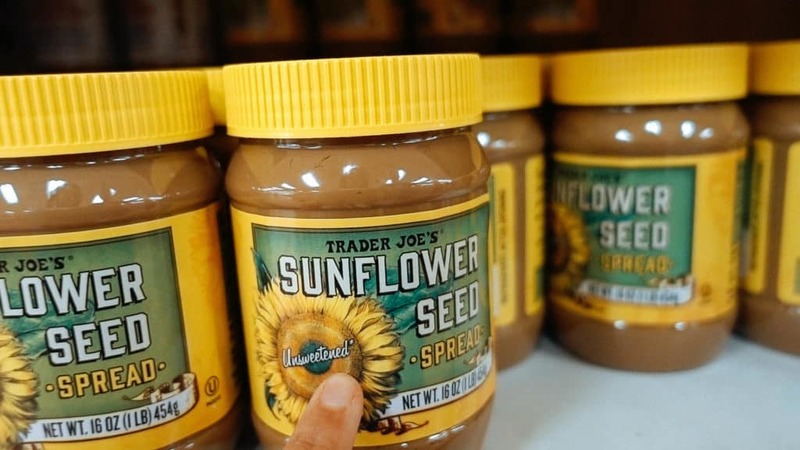 At Trader Joe’s, there’s a good chance you’ll find a deal on a product that’s usually quite expensive. 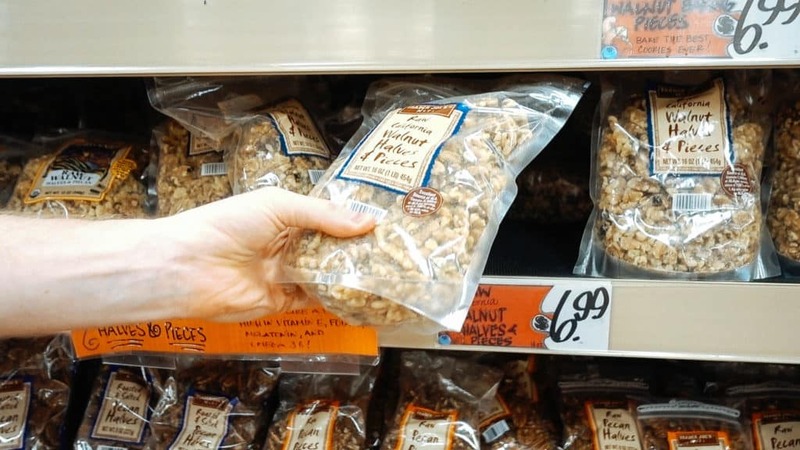 Sometimes, it feels like the keto diet requires hard-to-find, pricey ingredients, which is why we're here to show you what to buy and what NOT to buy at Trader Joe's. 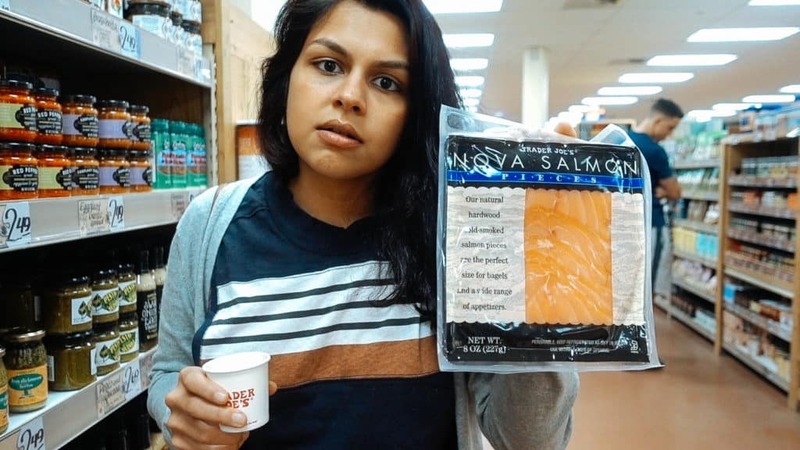 We don’t shop at Trader Joe’s for “everyday” grocery items. 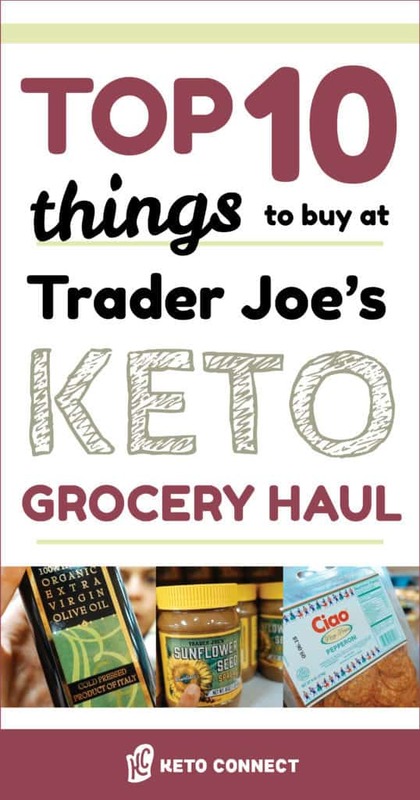 We like to buy our keto staples at Costco and pick up interesting snacks and specialty items from Trader Joe’s. Watch our Costco Grocery Haul. We don’t stress out about buying everything organic, but we try to buy organic spinach. According to federal data, non-organic spinach contains more pesticide residue than all other tested produce. We get the bag of Organic Frozen Spinach from Trader Joe’s to add to smoothies, casseroles, and anywhere else we can sneak in some greens. Slice up some hard salami for a zero carb snack or add it to a cheese board for a fancy appetizer. The flavor is delicious and costs only $7.49 for two sausages. This is Megha's favorite hot sauce, not necessarily for its spiciness, but for its intense flavor profile. 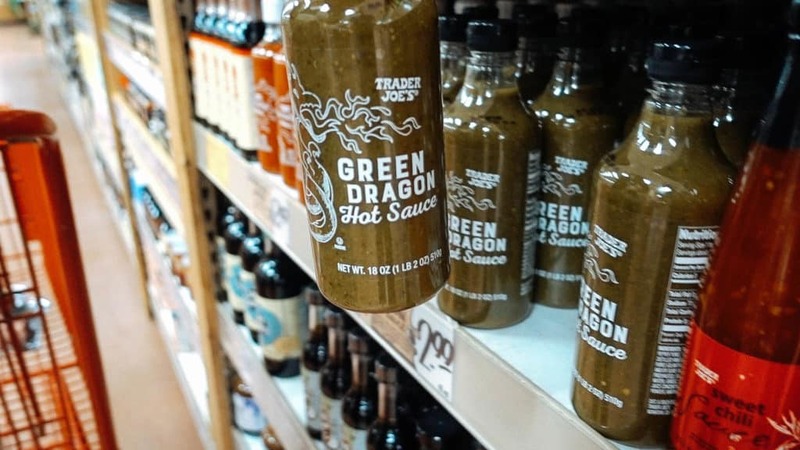 The only place you can get it is at Trader Joe’s! 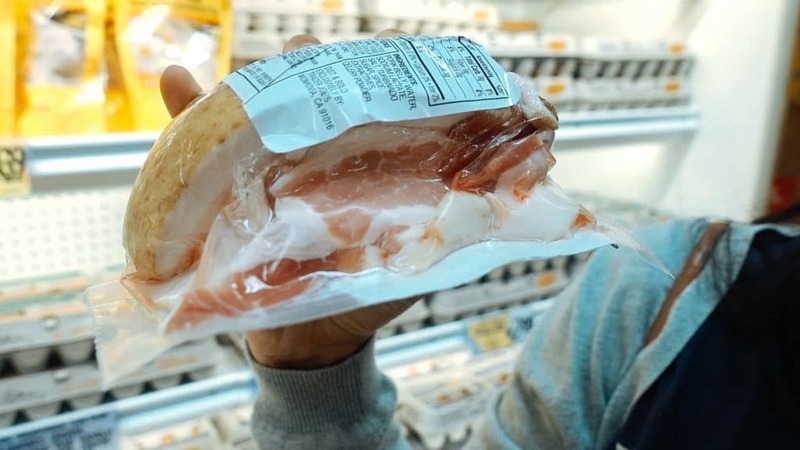 The fat content of this bacon is unmatched. This is a delicious way to fatten up any meal for only $4.49/lb. Each patty is only one carb and tastes delicious topped with a little garlic aioli. 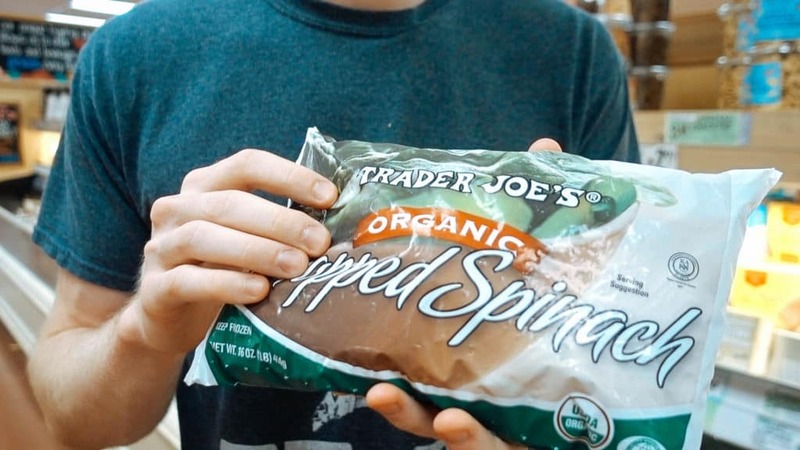 Trader Joe’s is probably the cheapest place to pick up grass-fed meat options. Burgers, steak, and ground beef are some of our favorites. You can’t beat 16 oz. 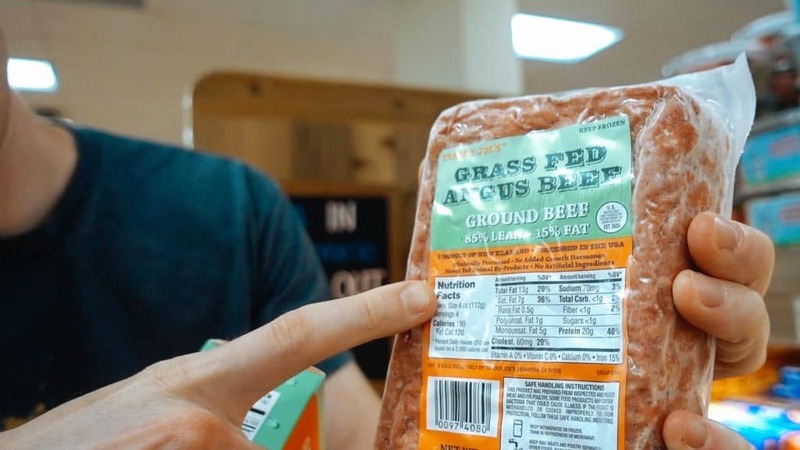 of grass fed beef for $5.99! 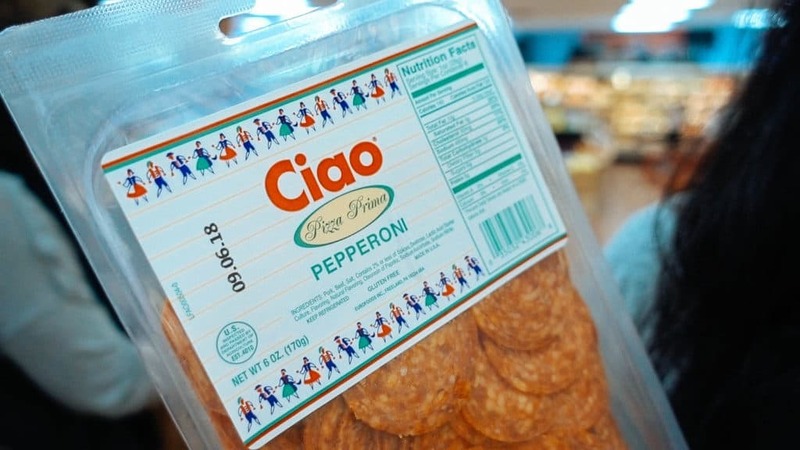 This is the most delicious pepperoni we’ve ever tried and we haven't found it anywhere else. We like having pepperoni for an afternoon snack, or we use it in our Pizza Dip and on top of keto pizza. Try any of our keto pizza recipes! 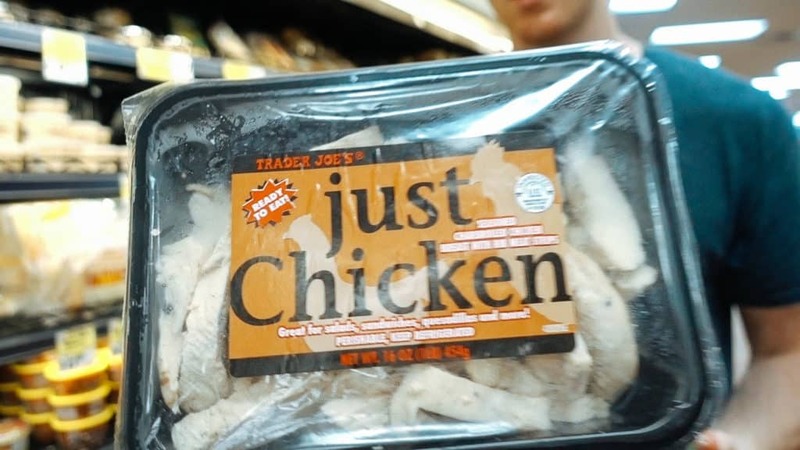 The Just Chicken package is 16 oz. of chicken for only $7.00. Add it to salads, make it into a sandwich with our Keto Bread, or make it into our Chicken Buffalo Dip. 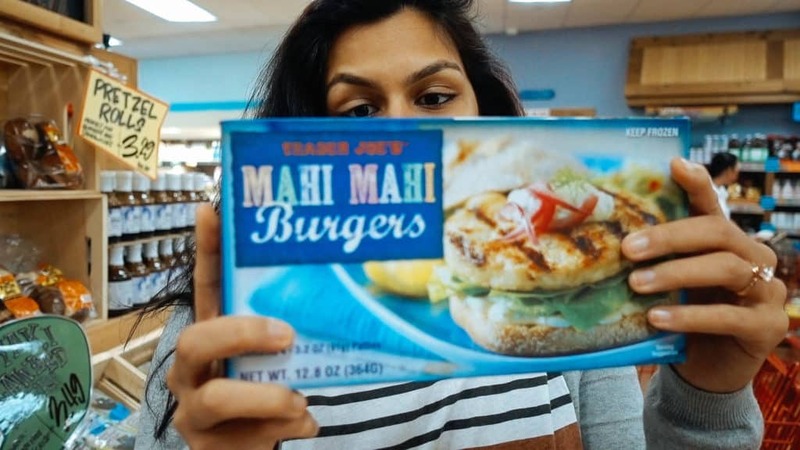 These items didn't make our Top 10 Trader Joe's List, but they are still great keto products that are hard to resist when the prices are this low and the ingredients are top notch. 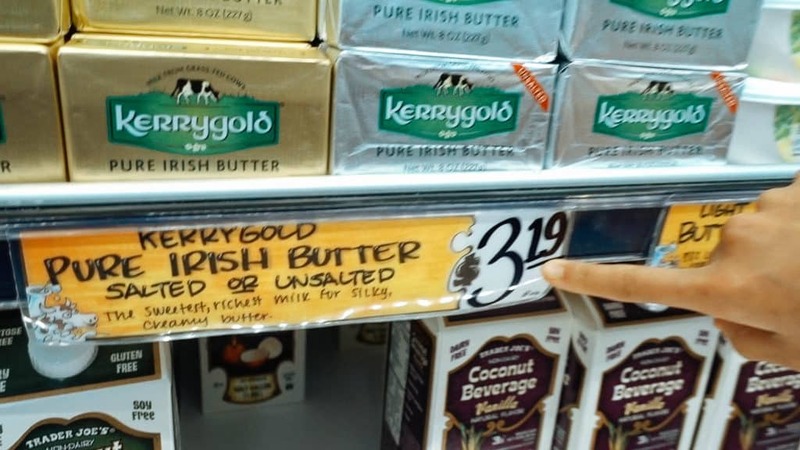 This is one of the cheapest stores to buy Kerry Gold Butter from. This is the best alternative for peanut butter. Megha is allergic to tree nuts, so she uses Sunflower Seed Butter in her fat bombs instead of peanut butter. 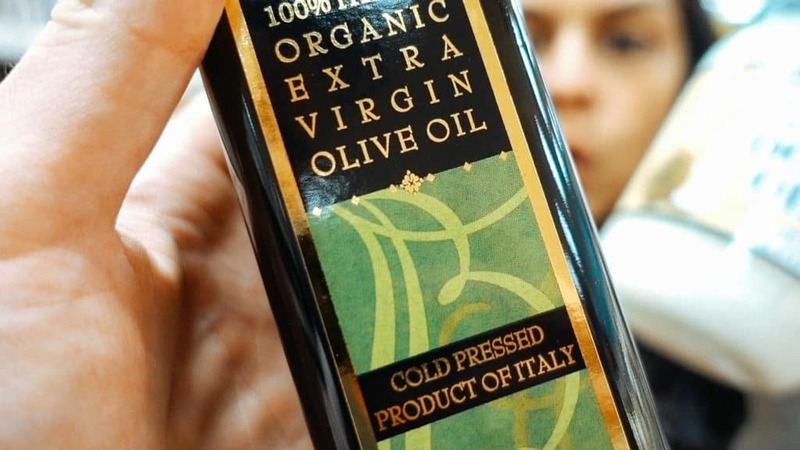 Cold pressed means the oil was pressed out of the olives without the use of high heat or chemicals, which is what happens to refined oils. 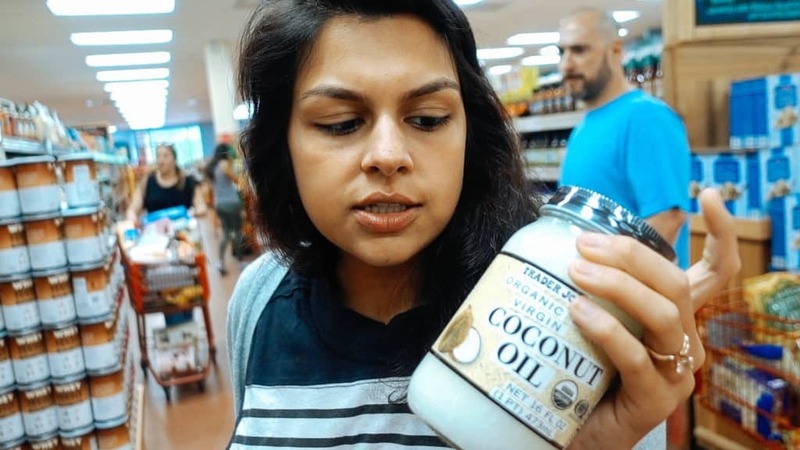 After doing some research, we discovered that “virgin” actually doesn't mean much when it comes to coconut oil. It’s really just a marketing term. The words you want to look for are, unrefined and cold pressed. Every now and then we enjoy fish for dinner and we've found Trader Joe's frozen fish to be the most delicious. This pork belly is seasoned to perfection and slow roasted for 12 hours. All you have to do is heat it up! It's our job to not only give you advice on what to buy, but what to avoid as well. 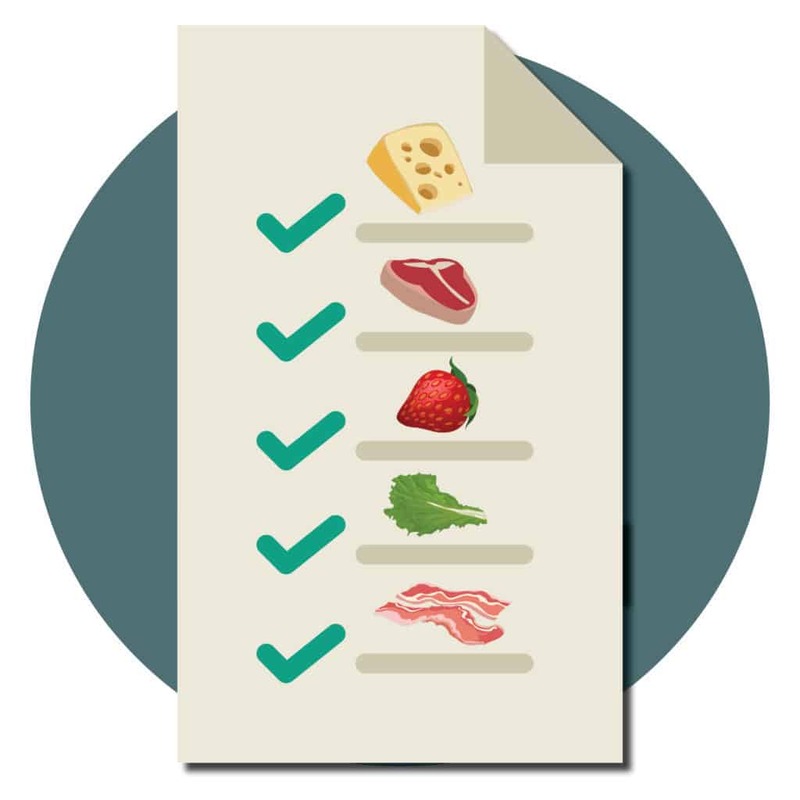 Don't be fooled by catchy buzzwords, false labelling, and bad flavor. 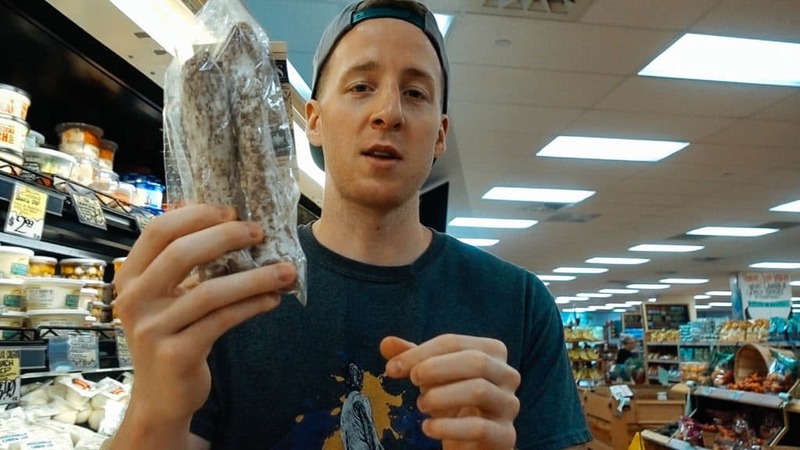 Matt is a self-proclaimed aficionado of sardines and he has deemed the Trader Joe’s Sardines as bad, so go buy your sardines somewhere else. The labelling on these is false. The package says there’s only 6g of net carbs per ounce, but that’s just not possible with parsnips. We would recommend getting your crunch in other ways. This protein bar contains 21 grams of Maltitol, an artificial sweetener that raises blood sugar almost as much as high as regular sugar! Watch our Sweetener Video where we test zero calorie sweeteners to see how they raise our blood sugar. 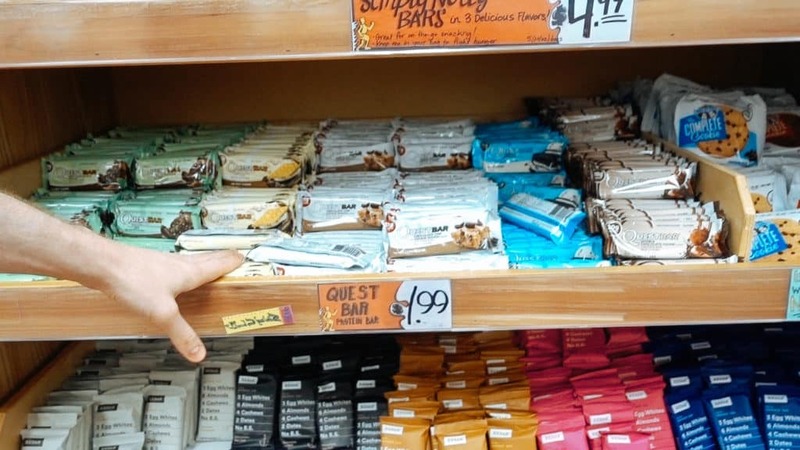 Your best option is still a Quest Bar and to understand why, check out our full break down of Keto Protein Bars. 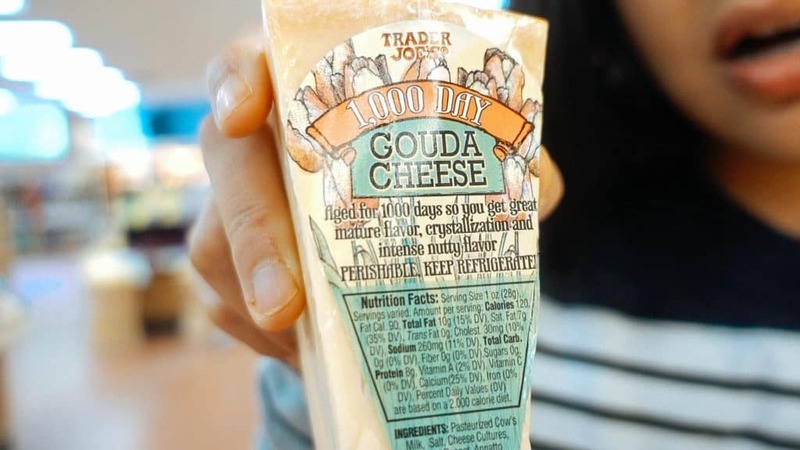 Let us know what your favorite Trader Joe's items are in the comment section! We are always looking for new snacks and love hearing about interesting brands.